One of America's finest color woodcut artists, Gustave Baumann is widely credited with the revival of this art form in the 20th century. His prints, made from multiple intricately detailed hand-carved woodcuts, are best known for their vivid coloration, striking color contrasts, bright, bold designs, and expert craftsmanship. 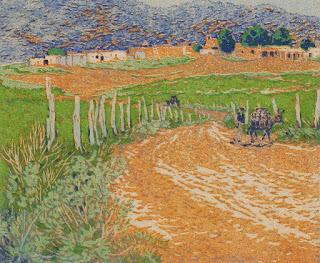 Many of the works feature his characteristic framing device of tiny dots that serve as a border for the image. Born in Magdeburg, Germany in 1881, Baumann and his family relocated to the United States when he was a child. They eventually settled in Chicago, where he later worked as a commercial engraver while putting himself through night school at the Art Institute of Chicago. He traveled to Germany in 1904 to study wood block printing at the Kunstgewerbeschule ("School of Arts and Crafts") in Munich. 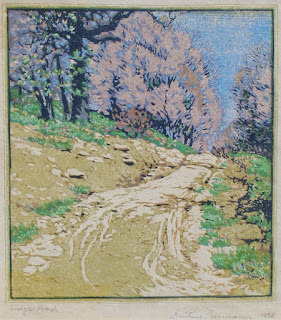 Upon his return to the United States, Baumann received international acclaim when one of his color woodcuts won the gold medal at the 1915 Pan-Pacific International Exhibition in San Francisco. 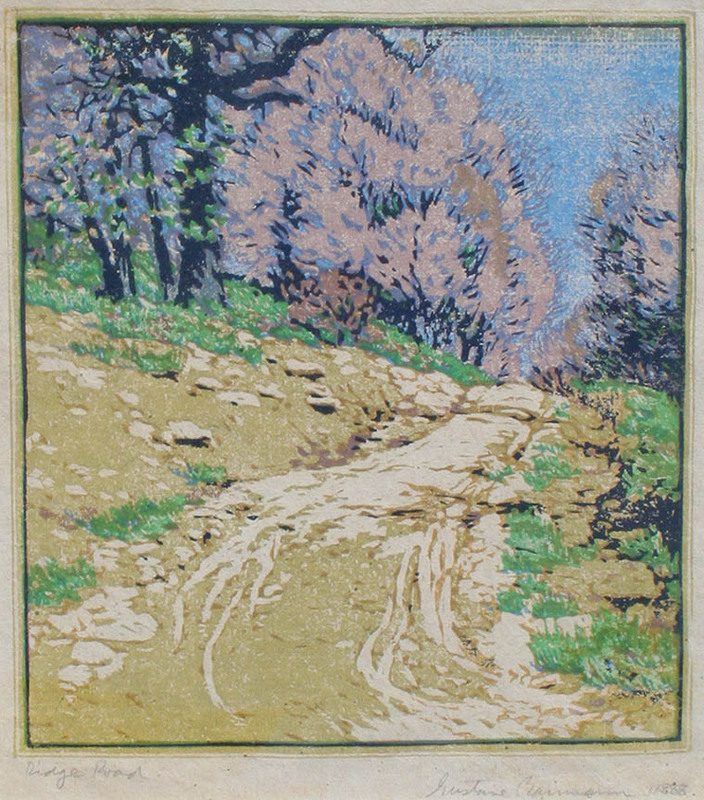 “The Loma”, (“The Hill” or “The Knoll”), above, is set in Taos, New Mexico, and was printed in 1919. Baumann was perpetually inspired and moved by the area's quiet, secluded, natural beauty, and felt in harmony with nature and the native peoples there. This woodcut is one of the first prints he executed when he settled in Santa Fe in 1918, and he quickly emerged as a leading artistic figure of the American Southwest. 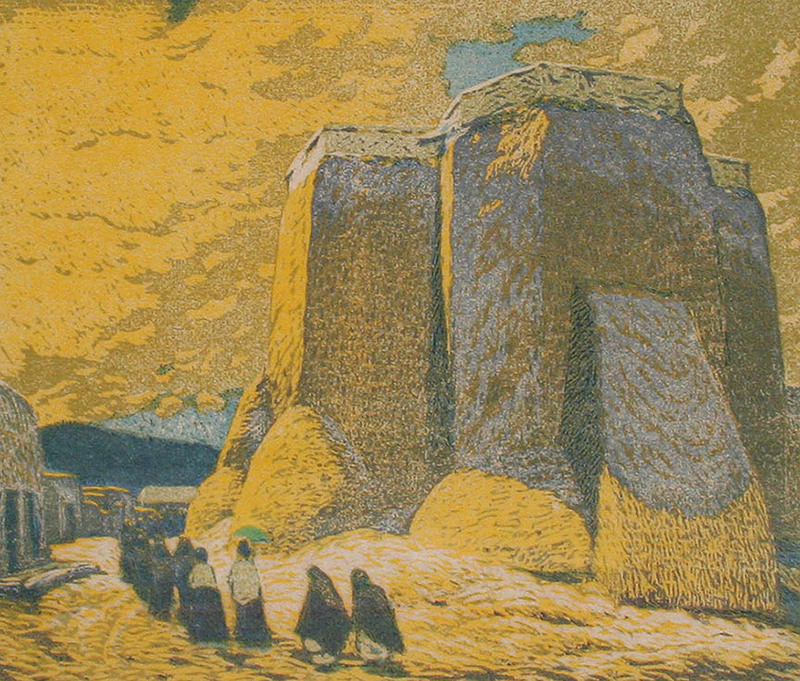 “Church, Ranchos de Taos”, printed ca. 1918-19 is also set in the same area of New Mexico, and shows the historic adobe church of San Francisco de Asis, begun around 1772 and completed in 1816. It has been the subject of countless works of art over the past two centuries, and the artist chose the view of the rear exterior of the church with a procession of parishioners at the lower left. “Talaya Peak”, located near Santa Fe, highlights Baumann's mastery of intense, brilliant coloration with sharp, dramatic contrasts. This luminous rather rare work was created in the mid 1920's and includes the artist's iconic “hand-in-heart” chop, below, which recalls his saying “What you put your hand to, you put your heart behind”. “Ridge Road”, shown above, is a tranquil, peaceful scene with a slightly softer palette and muted colors in pale pinks and blues. This early print is held in the permanent collections of both the Metropolitan Museum of Art and the Chicago Art Institute. Our final work, “Marigolds”, also known as “Sunny Messengers”, in an octagonal format, is the artist's first floral color woodcut, created ca. 1913-15. Enjoy this in-depth interview with Dennis Doheny! A third-generation Californian, Dennis Doheny was raised in the Los Angeles area and currently resides in Santa Barbara. Instantly developing an innate love of art, he spent much of his childhood drawing and painting. Self-taught, Doheny ultimately began exhibiting his early works at the Petersen Gallery in Beverly Hills. From 1986 until 1996, Doheny focused on commercial art, until his passion for fine art painting prevailed. 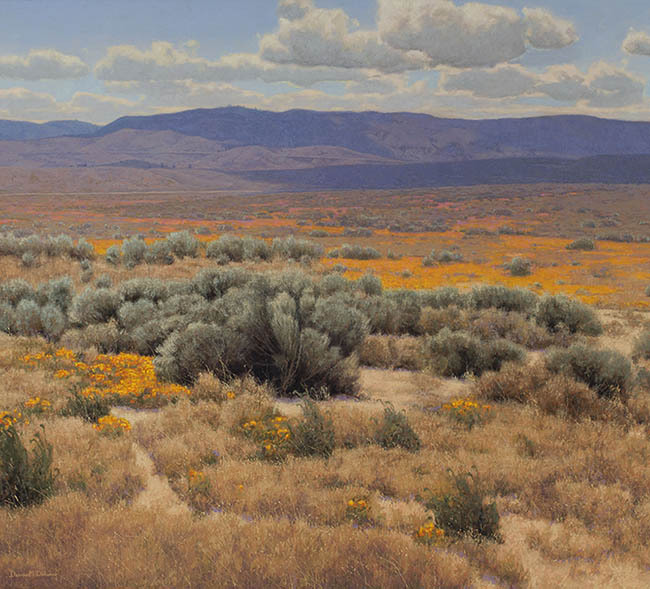 Over the past two decades, Doheny has cultivated a strong local and national following, enticing collectors who are drawn to his heroic renderings of the western landscape. Inspired by legendary California and Hudson River School artists, he has fused and reinterpreted the genres, combining rich color and finely-crafted detail to create a distinctive vision of the American West. Doheny’s vivid landscapes capture California at its most beautiful, with its commanding ocean cliffs, distant hazy mountains, and towering lush trees. Doheny recently completed this unique night scene, a view of Santa Monica, titled "City Lights". Doheny is the recipient of numerous awards. In April 2016, he received "The Irvine Museum Prize" at the California Art Club's 105th Annual Gold Medal Exhibition. In addition, the painting was purchased by the California Art Club, and it will hang permanently at the California Club in Los Angeles. Previously, he was awarded the Irvine Museum Gold Medal at the California Art Club's 2013 Exhibition. At the same show, he also received the American Art Collector Award of Excellence. In 2009 Doheny was honored to be chosen for the Edgar Payne Award for best landscape at the California Art Club's 2009 Gold Medal Juried Exhibition. Dennis was also proud to be featured in the Prix de West Invitational Art Exhibition. In both 2006 and 2008 at the Prix de West, he received the Frederic Remington Award given in recognition of "exceptional artistic merit". Also in 2006, he was honored with the Inaugural Purchase Prize at the Eiteljorg Museum's "Quest for the West" Exhibition and is proud to be a part of their permanent collection. 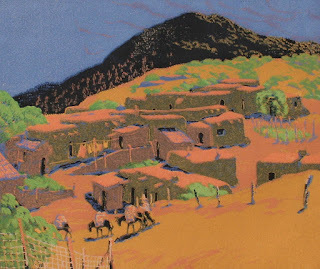 In 2003, he was recognized by the Autry National Center and awarded the Masters of the American West Award. 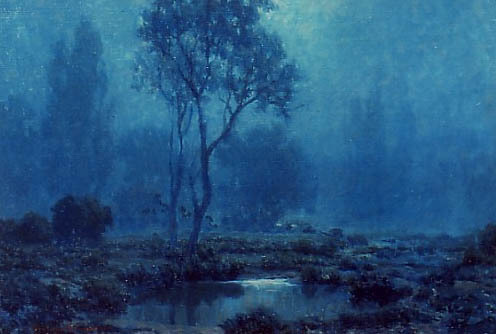 His painting was acquired by the Autry for its permanent collection as well. He received the Granville Redmond Memorial Purchase Prize in 2000 for his painting "New Dawn" at the California Art Club's Spring Salon and upon his return to fine art, he received First Place in the Carmel Plein Air Competition in 1998. On March 9th, 1871, Charles and Elizabeth Redmond gave birth to healthy baby boy, whom they named Grenville Richard Seymour Redmond. Sadly – though perhaps from an art historical perspective, felicitously – young Grenville contracted scarlet fever at the age of two, rendering him completely and irreparably deaf. As a result, Redmond never developed the ability to speak. In 1874, the Redmond family moved to the Bay Area, eventually enrolling their son in the California School for the Deaf in Berkeley, one of the nation's most renowned institutions for the hearing impaired. Redmond excelled in his classes, both academically and socially, but it was in the arts that he truly shone. Under the instruction of artist Theophilus D'Estrella, he developed a keen eye for light and color, and a particular love of the outdoors and the en plein air method, which was coming into fashion among the burgeoning California art scene. It's difficult to say to what degree Redmond's hearing impairment influenced his art, but whatever the cause, he found himself immediately attracted to the subtle gradations and quiet isolation of Tonalism, a love affair that would follow him all of his life. At the encouragement of his instructors from the California School, Redmond enrolled at the San Francisco School of Design at the age of 16. It was here that he would meet perhaps the most significant instructor of his early artistic career, Director of the School of Design, Arthur Mathews. Mathews is recognized by many art historians as the single most important figure in Early California painting, as he is responsible for the first artistic movement that can accurately be described as Californian: The eventually-termed California Decorative Style. Still, had it not been for this invention, his contribution to the arts would have been indisputable simply for his tutelage of many renowned artists including Redmond. 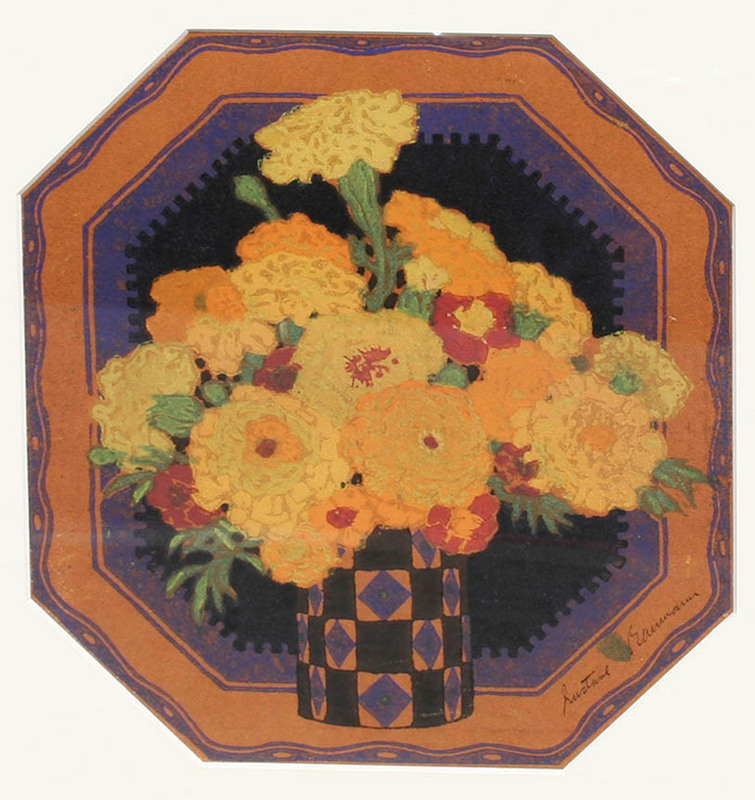 Even before graduating from the Academy of Design, Redmond began to receive critical acclaim, winning the W. E. Brown Medal of Excellence and a scholarship to continue his studies in Paris. In 1893, he crossed the Pacific and enrolled at the Académie Julian, one of France's most prestigious art schools. Here, under the professorship of such luminaries as Benjamin Constant and Jean Paul Laurenz, Redmond meticulously honed his craft. By the early 1890s, Redmond was focusing almost exclusively on exterior landscape compositions in the Tonalist style, and in 1895 his canvas, Matin d'Hiver, was accepted into the exclusive Paris Art Salon. In 1898, Redmond returned to California and settled in Los Angeles. After years of study, he was finally ready to embark on his journey as a professional artist. Perhaps in response to his new state in life, Grenville Richard Seymour Redmond decided that a nom de pinceau was in order – and thus he dropped the foremost e in favor of an a, did away with his middle names altogether, and became simply Granville Redmond. 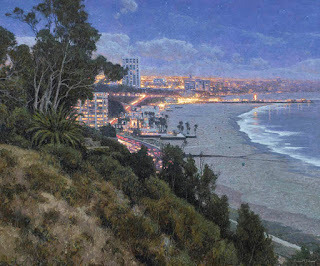 Granville Redmond's early professional career in Southern California is characterized by subtle Tonalist compositions, often landscapes and seascapes of Laguna Beach, Catalina Island, and San Pedro. These early works exhibit quiet, almost solemn undertones. Additionally, Redmond completed a number of nocturnes during this time, tenebrous pastorals reminiscent of the work coming from his artistic motherland, San Francisco. When Redmond met Charlie Chaplain in Los Angeles, the two quickly became fast friends, trading techniques in pantomime and other non-verbal cues – one educated through a lifetime of silent observation, the other through a career on the silver screen. They got along so handsomely that not only did Chaplain invite Redmond to star in three of his feature films, but the actor also independently financed a studio for the artist on his film lot. In 1899, Granville married Carrie Ann Jean, herself a graduate from the Illinois School for the Deaf. Over the next several years, they would have three children together. By that time, Redmond was already garnering favorable criticism as a talented and thoughtful colorist in the LA art scene. 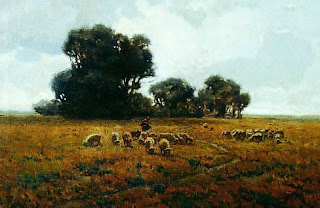 But the artist was soon to explore a whole new method of composition, and in 1908 he packed up his family and moved north to Monterey, where his typically moody Tonalist landscapes began to change, becoming more expansive, idyllic, and colorful. Two years later, the Redmond family moved again, this time to San Mateo, where Granville firmly rooted himself in the San Francisco art establishment. He took the critical world by storm with his sweeping visions of California landscapes, hillsides on fire with golden poppies and violet lupine. The demand for his work exploded. For the next 25 years, Redmond travelled the California coast – one of the few Early Californian artists to do so – capturing its quintessential light and color. 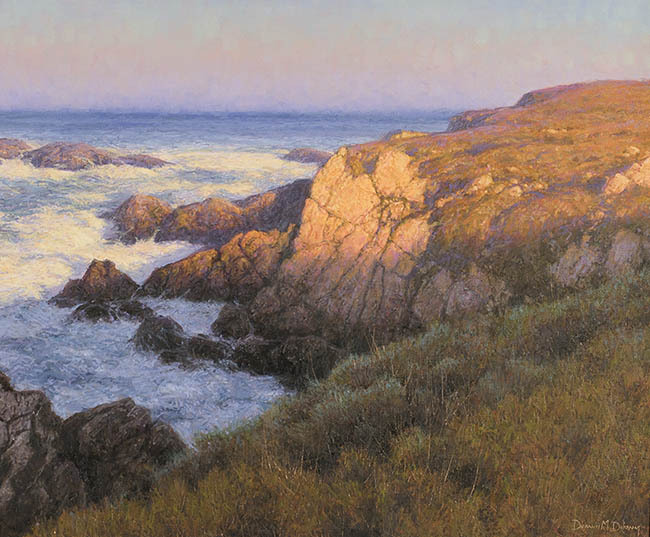 His work matured, becoming more Impressionistic, even Pointillist, as he grew to become one of the West Coast's foremost California Impressionists. He drew comparisons to France's greatest masters – Monet, Matisse, Pisarro – and though collectors had an insatiable appetite for his vivid wildflower canvases, the artist never gave up his passion for his quiet, Tonalist compositions. 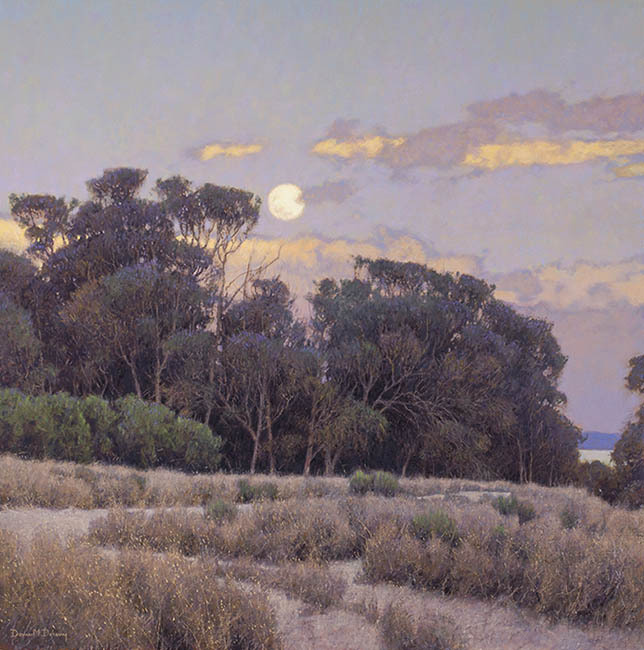 For the rest of his life, he would continue to paint his beloved, brooding nocturnes; subtle, grey pastorals; tenebrous, solitary coastals – even as the demand for his Impressionistic landscapes continued to skyrocket. Today, Granville Redmond is remembered as a master of both California Impressionism and California Tonalism. His work continues to be bought and sold around the world, publicly and privately, and every retrospective of seminal Californian art bears his name. His work is held in the collections of the Los Angeles County Museum of Art, San Francisco's de Young Museum, the Stanford University Museum, the California School of the Deaf – to name but a few. Granville Redmond died on May 24, 1935 in Los Angeles. He was 63 years old. Enjoy this week's informative video, presented by William A. Karges Fine Art Los Angeles Gallery Director, Whitney Ganz, as he explores "Hallett House" by American Modernist artist Zama Vanessa Helder (1904 - 1968). 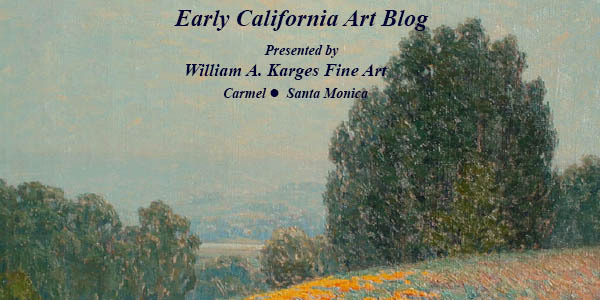 Enjoy our video, presented by William A. Karges Fine Art Los Angeles Gallery Director, Whitney Ganz, as he discusses "California Winter" by prominent Early California Impressionist artist Guy Rose. 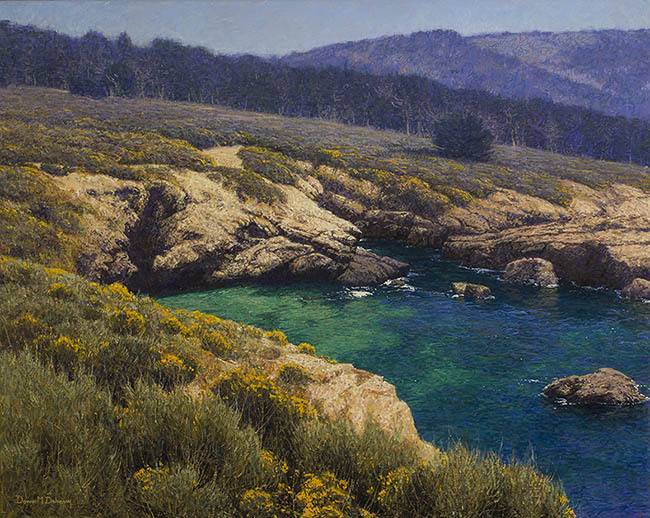 Since the beginning of the 20th century, the climactic landscape of the Monterey Peninsula has attracted artists from around the world, eager to try their hand at capturing the spirit of the dramatic shoreline. 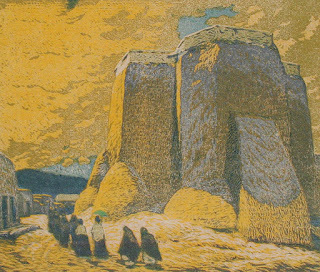 Over the ensuing century, hundreds of artists produced thousands of works, each a unique interpretation of the region’s natural beauty. After the 1906 San Francisco earthquake, the region was inundated with musicians, writers, painters and other artists who established an artist colony after the bay city was destroyed. The new residents were offered home lots – ten dollars down, little or no interest, and whatever they could pay on a monthly basis. 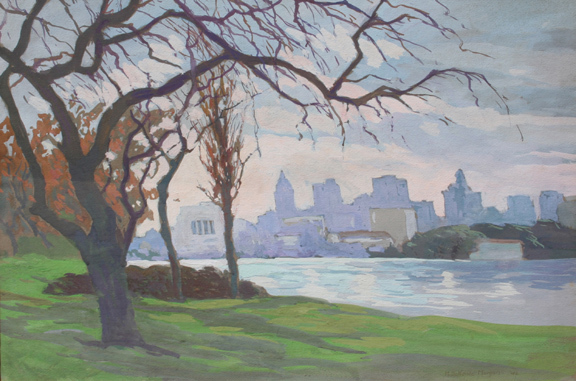 Among the visual artists to participate in the burgeoning arts community were Armin Hansen, Mary DeNeale Morgan, Carl Oscar Borg, Roi Clarkson Colman, William Louis Otte, Rinaldo Cuneo, William Henry Price. San Francisco native Armin Hansen is generally considered the most significant artist to work in the Monterey Peninsula during the early-and mid-20th century. 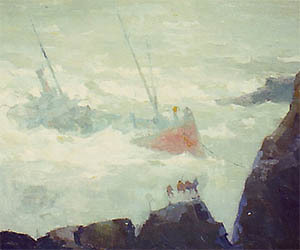 Stormy Sea (pictured below) depicts a ship struggling through stormy seas. This painting is an excellent example of Hansen’s powerful oceanographic scenes, for which he is best known. 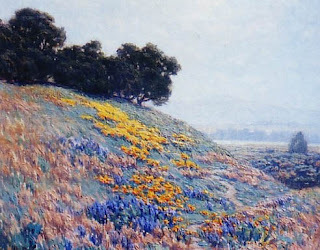 Carmel artist Mary DeNeale Morgan was born in San Francisco in 1868, where she became a favorite pupil of William Keith. Morgan attended summer classes in Carmel that were led by William Merritt Chase and later became the Director of the Carmel School of Art from 1917-1925. Equally facile in watercolor, gouache and oil painting, Morgan’s works often feature the windblown trees and rocky coastline of the Monterey Peninsula. An outstanding group of paintings is currently on display through August 29th, 2016 at the Monterey Museum of Art, Pacific Street. “Monterey Places” presents works from the permanent collection that focus on the beauty and history of Monterey County. The exhibit features early California paintings by influential artists including M. Evelyn McCormick, Charles Rollo Peters, and Armin Hansen, as well as contemporary works by Johnny Apodaca and Andrea Johnson. Click here to learn more about the exhibit and view some of the works online. The exhibit also includes a web-based interactive virtual gallery where visitors can “explore and engage with the paintings, and learn more about the specific locations, local histories, and the artists who created them”. Click here to see the interactive gallery now and discover the paintings and places featured in this fascinating exhibit. This is a great opportunity to get personally involved with the artworks on display and to discover, learn, and interact! Visitors to the various current exhibitions are encouraged to write down and share their reactions and thoughts about works on display. There are short films to watch, large-screen slide show presentations, tours given by their enthusiastic, energetic, and well-educated docents, lectures, and even stations set up where you can create your own artworks. It's nice to be reminded that visiting a museum is supposed to be fun, entertaining, inspiring, educational, and exciting! Charlotte Eyerman, hired as the Director in 2013, has been doing a spectacular job of moving the museum boldly forward into the 21st century, and the staff has been extremely successful at engaging, entertaining, and educating visitors using a combination of technology, creative ideas, and social media.